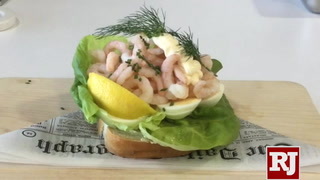 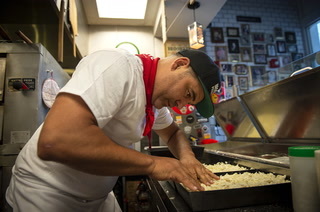 Today is Valentine’s Day, a time when many of us who have a sweetie think about sweets to make that sweetie even sweeter. 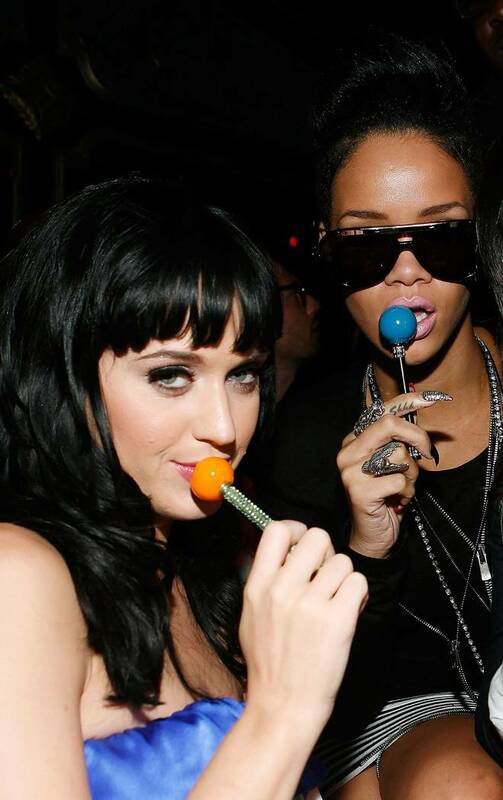 Heidi Knapp Rinella Death Valley Nut & Candy Co.
Amy Sussman/Getty Images for The Griffin NEW YORK - JULY 28: Singers Katy Perry (L) and Rihanna (R), with Sugar Factory Couture Lollipop, attend a post concert party at The Griffin on July 28, 2009 in New York City. 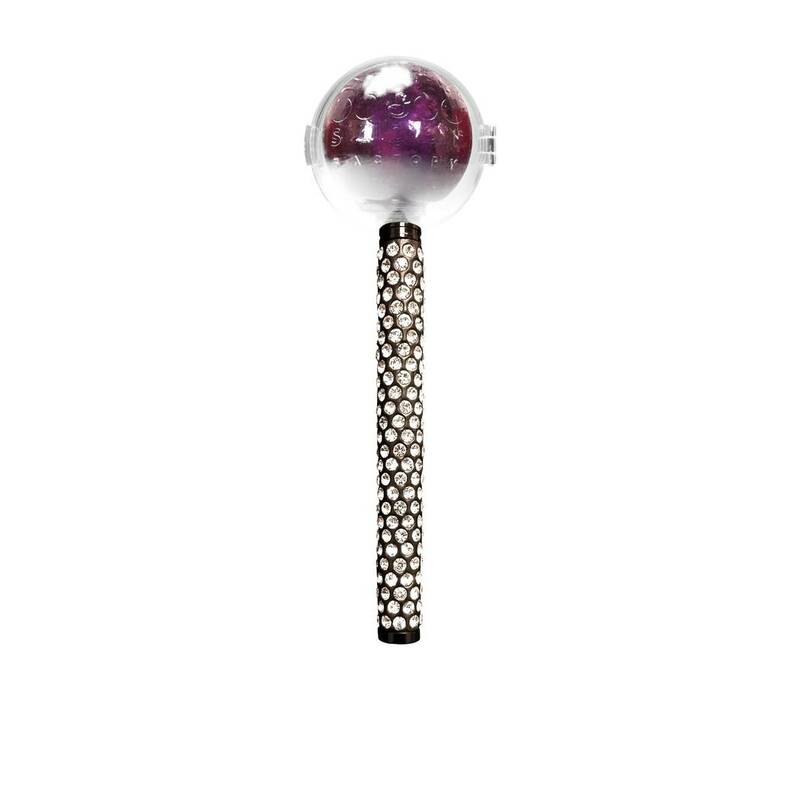 Sugar Factory Kylie Jenner's signature Couture Pop in black diamond. 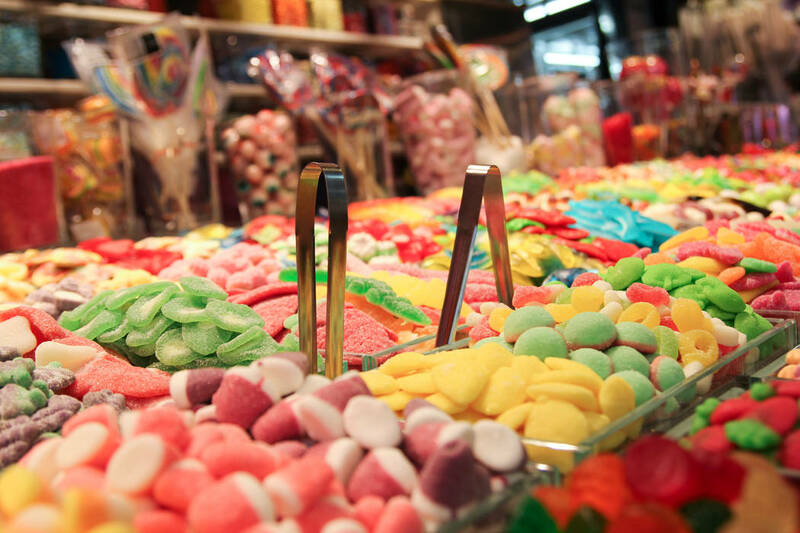 Today is Valentine’s Day, a time when many of us who have a sweetie think about sweets to make that sweetie even sweeter. 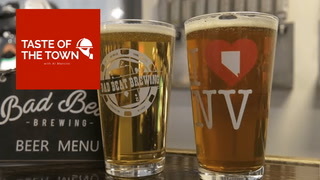 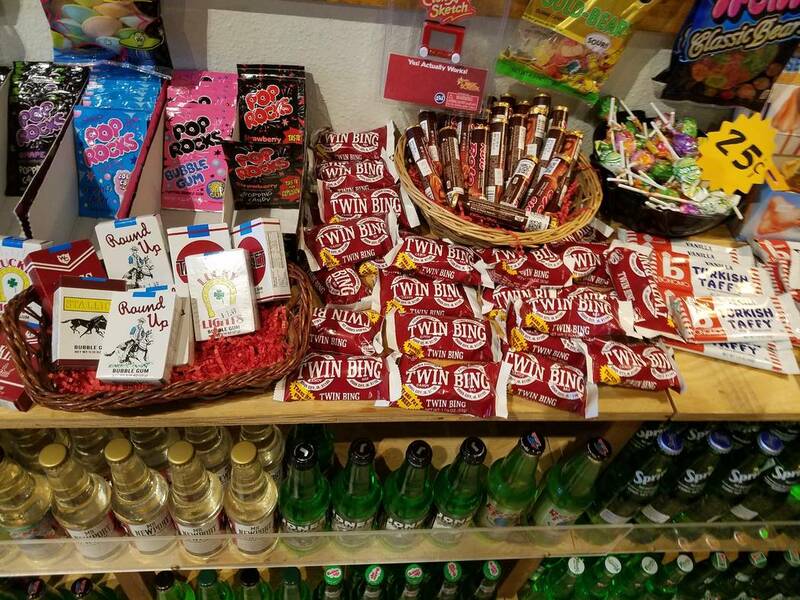 Artisanal chocolate abounds in Southern Nevada, but here we present a selection of shops that sell the old-fashioned sugary favorites, along with a few novelties and the heart-shaped boxes of chocolates that CandyStore.com says are Nevadans’ Valentine candy of choice. 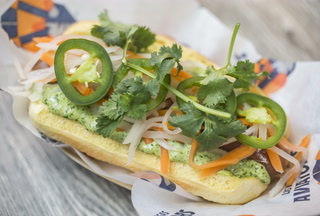 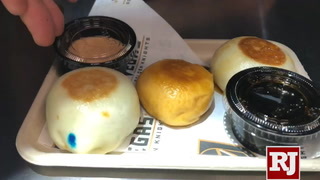 They’re guaranteed to puta smile on their face — and maybe a cavity or two in their teeth. 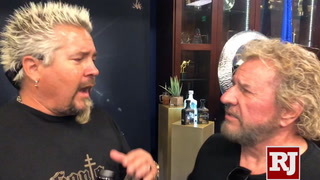 Pawn Stars’ Austin “Chumlee” Russell and his brother Sage run this tiny candy shop in Rick Harrison’s Pawn Plaza shopping center, adjacent to Gold and Silver Pawn. 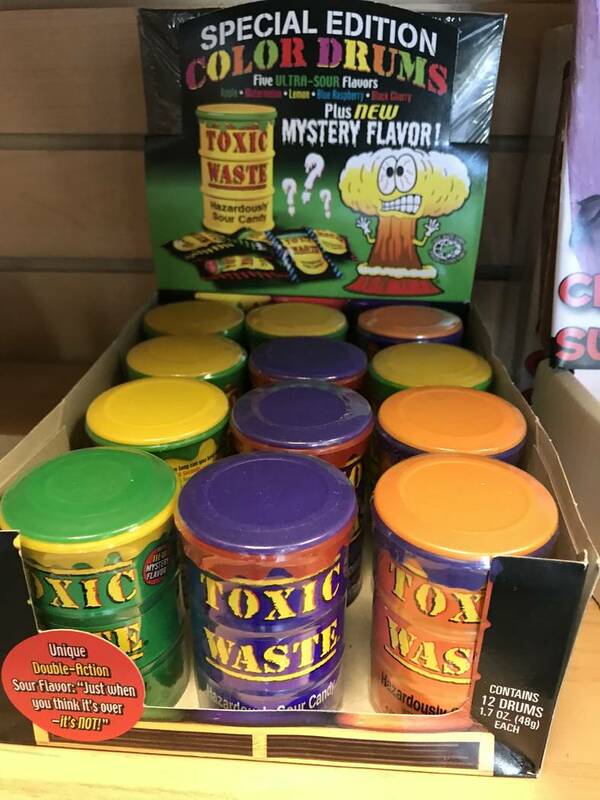 And while there are plenty of sweets, make sure not to overlook Toxic Waste, small containers of “hazardously sour candy” packaged to look as though they were excavated from a miniature superfund site. 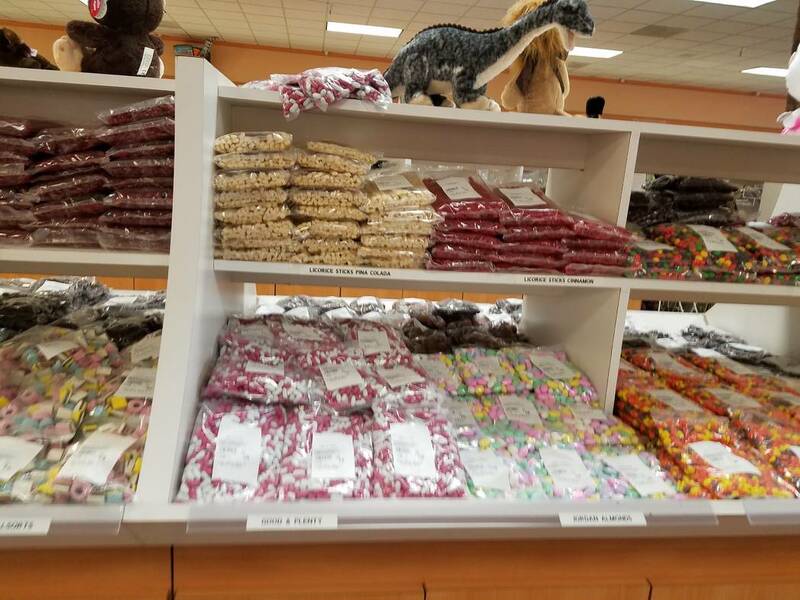 When your business is in the middle of the desert you need a niche, and Death Valley’s is candy — aisles of candy, more than 250 varieties. 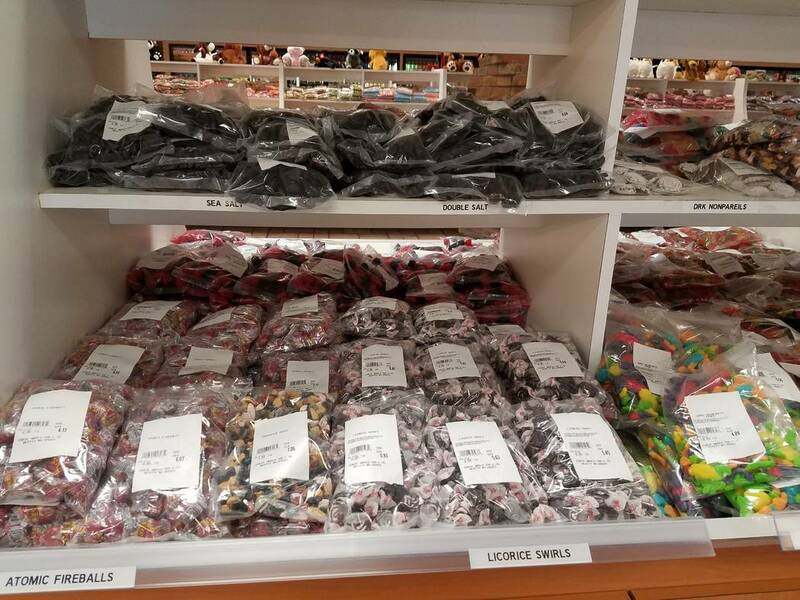 There are 30 types of licorice alone (including pina colada), 43 sugar-free candies, jawbreakers from 1/2 inch to 2 1/4 inches, wine gummies, gummy teeth (they look like dentures), gummy dolphins, gummy rainforest frogs, gummy cows, chocolate-covered gummy bears and white chocolate gummy bears. 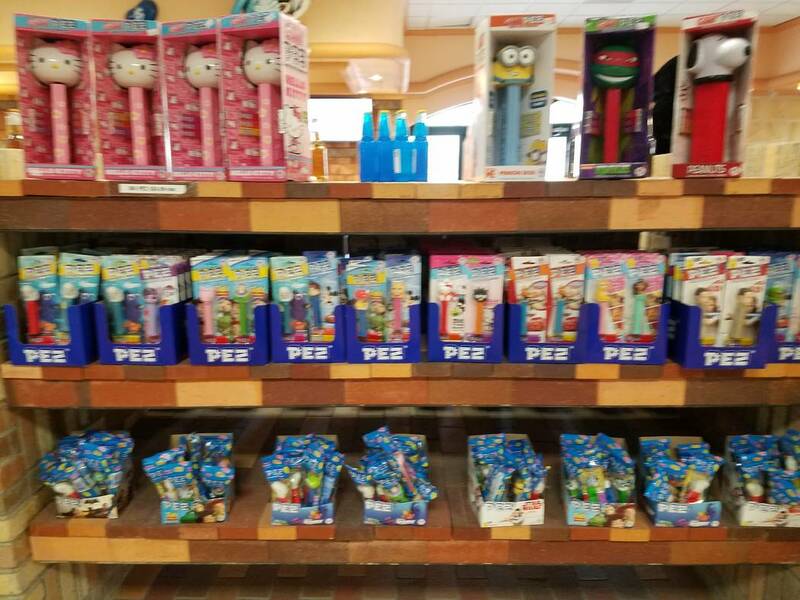 Plus classics like milk or dark chocolate honeycomb sponge, Pixy Stix, divinity, fudge, wax bottles, candy baby pacifiers, liquor-filled chocolate bottles in three varieties and Pez dispensers in various sizes. 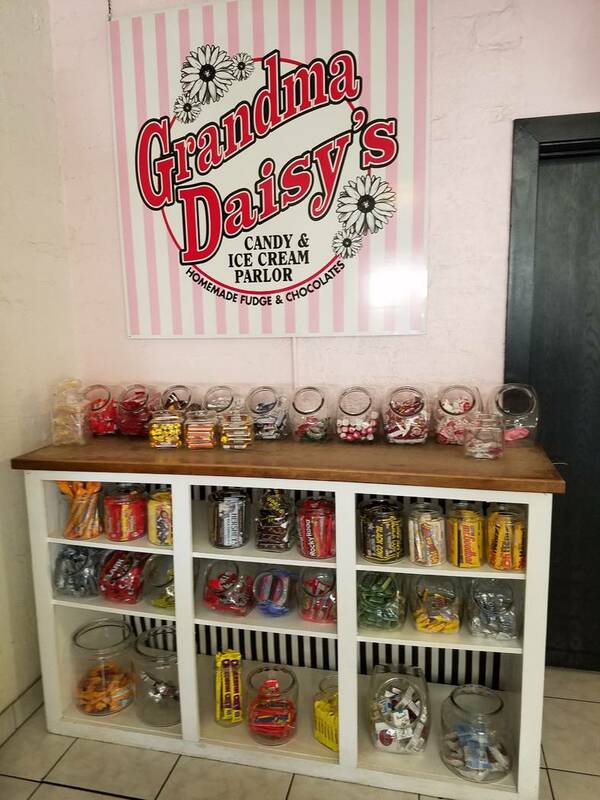 In a strip of retro businesses along Boulder City’s main drag Grandma Daisy’s fits right in, with vintage glass canisters that hold the promise of time-honored treats like wax bottles, Hot Tamales, Black Cows, Twin Bings and Bonomo Turkish Taffy. 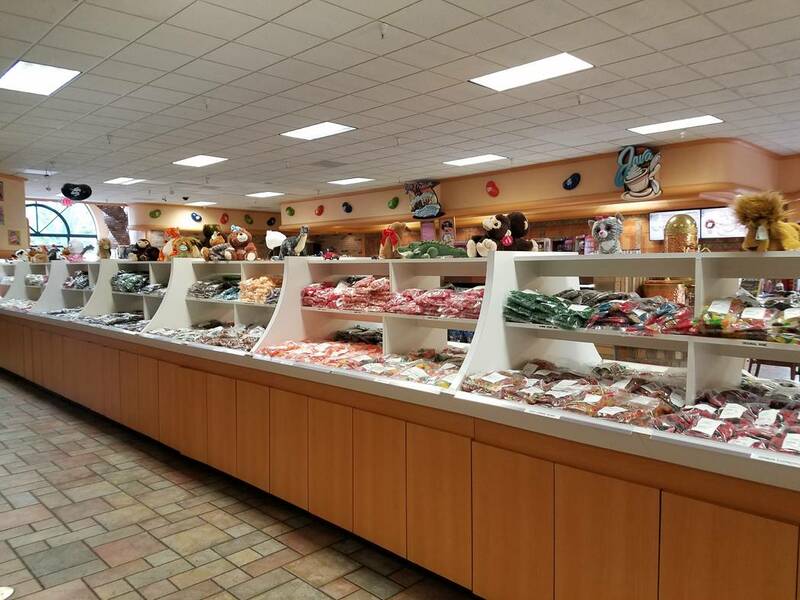 Much of the candy is made in-house, including giant caramel apples with sprinkles, nuts or plain; bark in flavors including Rocky Road, apple pie and almond; plus fudge, turtles, peanut clusters, toffee, haystacks and caramels. 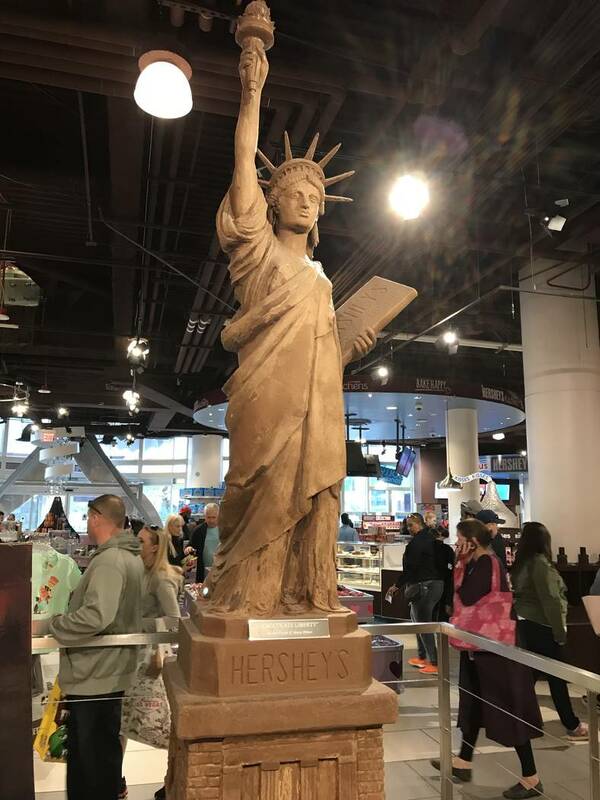 Tourists get drawn in by the chocolate Statue of Liberty near the downstairs entrance, or the one made of Twizzlers on the upper level. 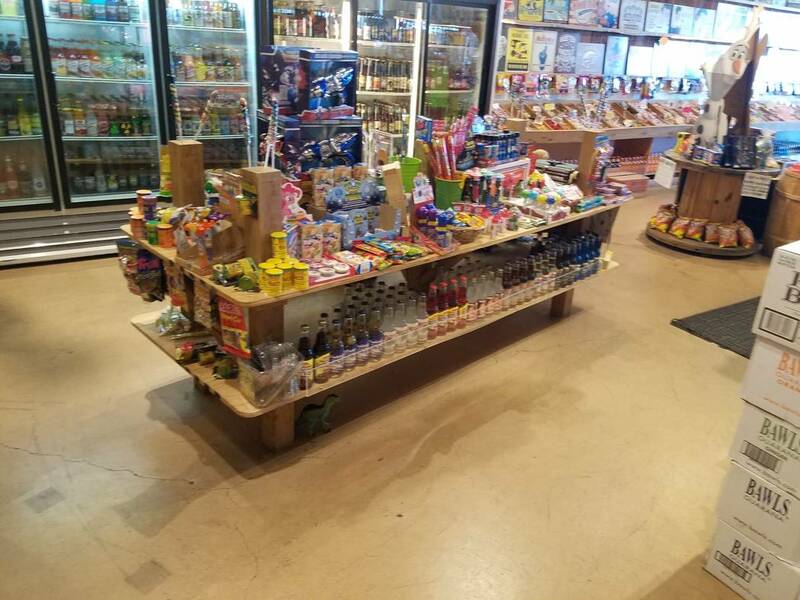 Once inside, the inventory ranges from merchandise like Jolly Rancher-scented candles and plush Reese’s Peanut Butter Cups to baby blue and pink bags of kisses perfect for nibbling at gender reveal parties. 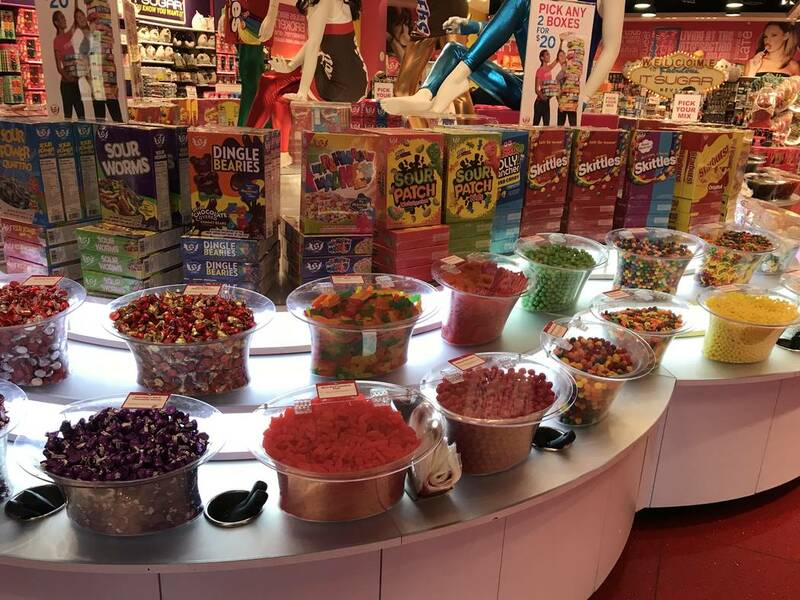 The larger outpost in The Venetian’s Grand Canal Shoppes offers one of the valley’s most staggering collections of mix-and-match loose candies, with approximately 160 scoop-it-yourself bins and another six dozen jelly bean dispensers. 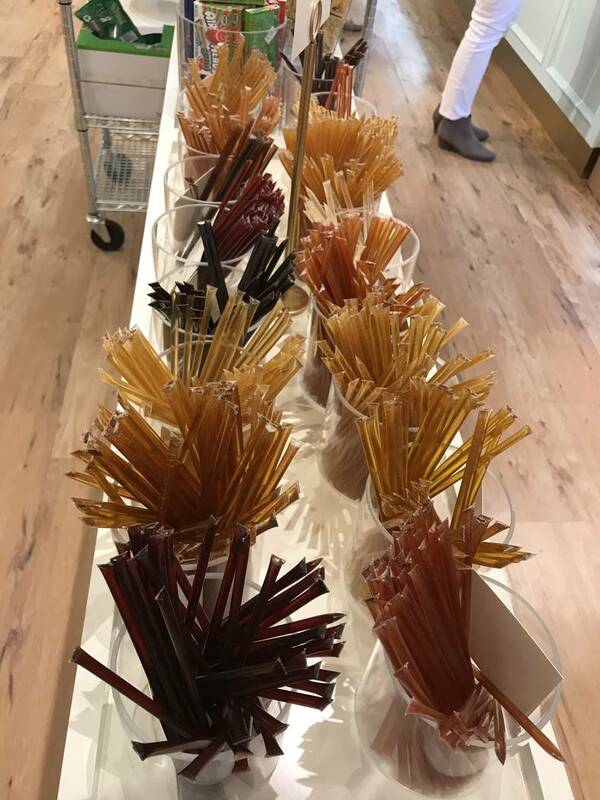 Town Square, on the other hand, has a larger collection of adults-only sweets, and a dispenser of colorful flavored powders you can use to create giant Pixy Stix-style tubes of sugar. 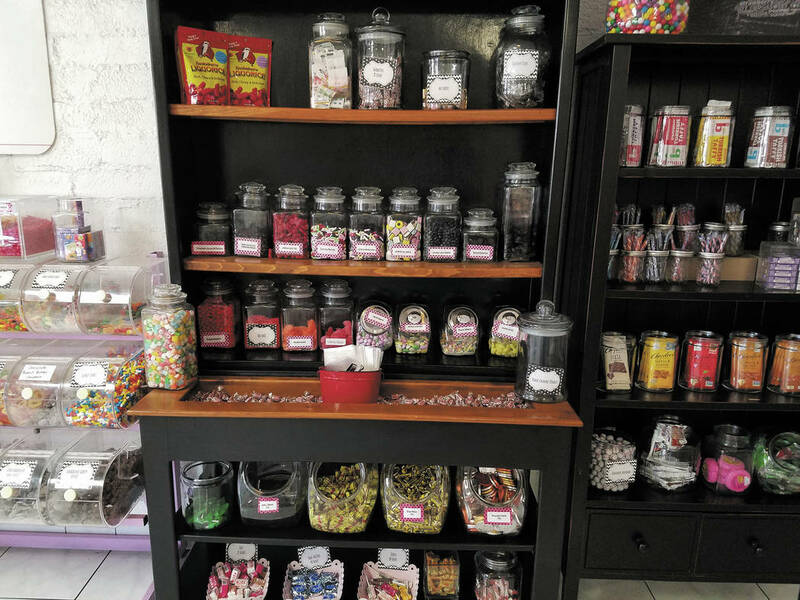 From an assortment of Warheads brand sours and Japanese Hello Panda biscuits on the kitschy side, to a wall of jelly beans for traditionalists, Lick tries to cover all the bases. 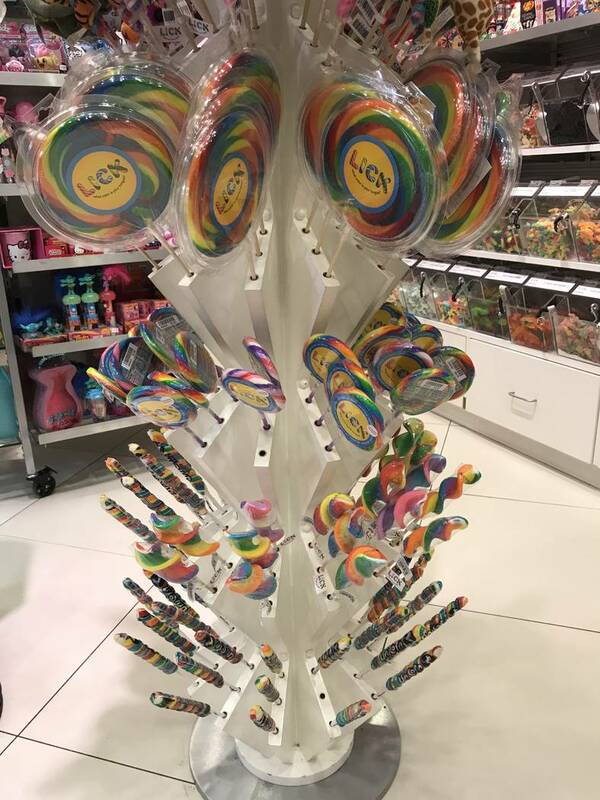 But the store’s centerpiece is the tree of rainbow-colored all-day suckers in multiple shapes and sizes. 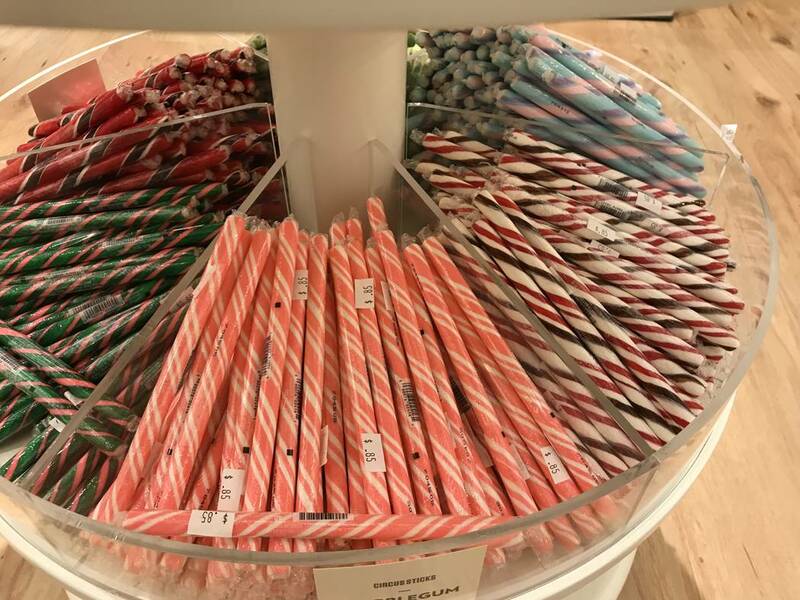 The striped aprons and straw hats on the employees and treats like rock candy, circus sticks and slim tubes of flavored honey give this store an innocent, old-timey, All-American vibe. 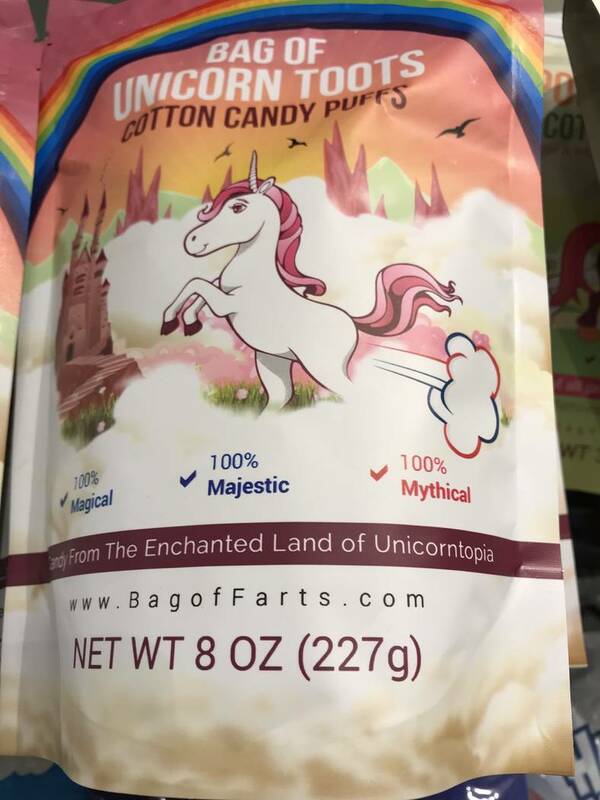 But look a little closer and you’ll find naughty novelty treats like Unicorn Toots, Pony Farts and Zomie Farts (all of which are cotton candy, by the way) and modern international twists like Japanese kits for making your own candy sushi. 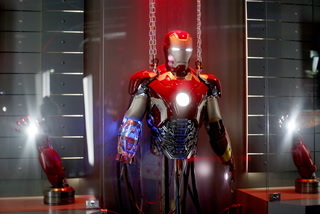 It takes a lot to fill four floors with M&M-themed fun, including all sorts of clothing and merchandise and live appearances by the candy characters. 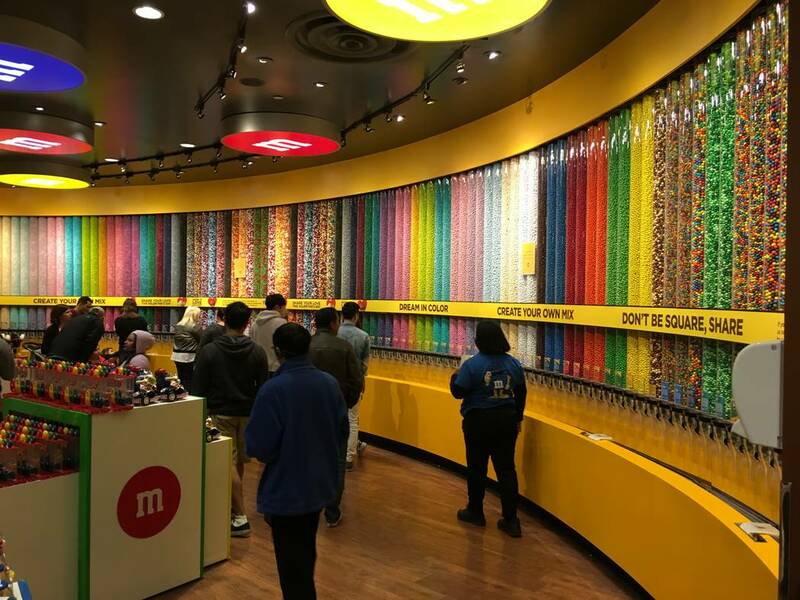 But the highlight is on the second floor, where you can customize an order by mixing and matching 16 flavors of the candy-coated treats, which come in 22 colors. 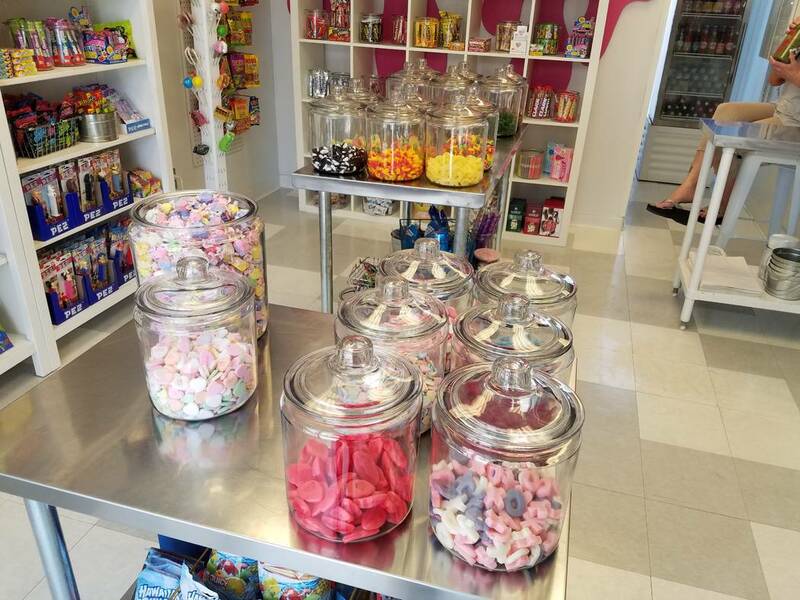 Movies & Candy’s selection of sweets may seem dwarfed by the who-needs-Netflix? 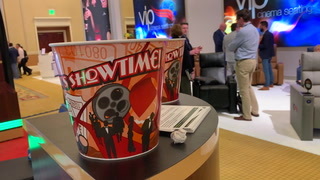 old-school movie rentals on display, but that’s because there are 27,000 of the latter. 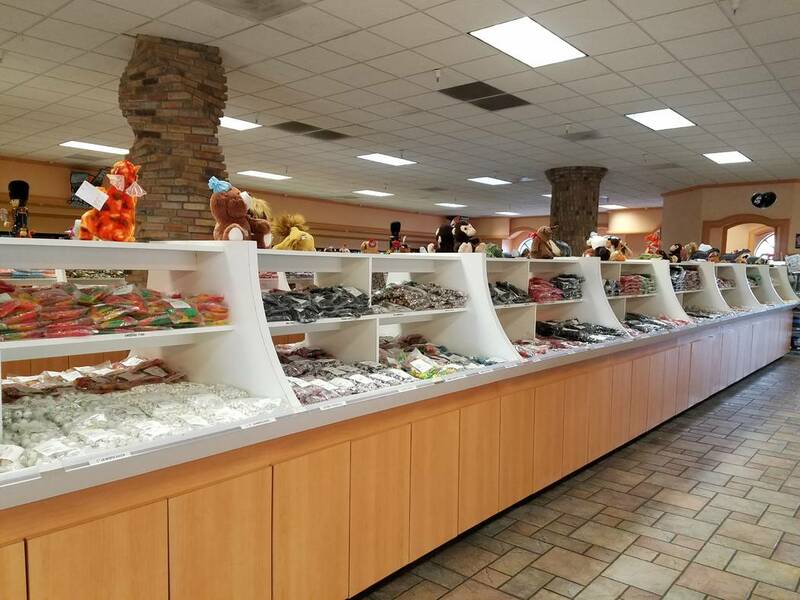 There’s plenty of candy here, though — more than 100 choices, including Red Hots, Bit-O-Honey, Whoppers, Dots and Zots, Kit-Kats and York Peppermint Patties — as well as collections of gummies (Happy Cherries, Vampire Bats or Pleasant Penguins, anyone? 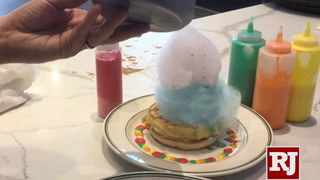 ), a tower of taffy with flavors including frosted cupcake and banana split, and lots more. 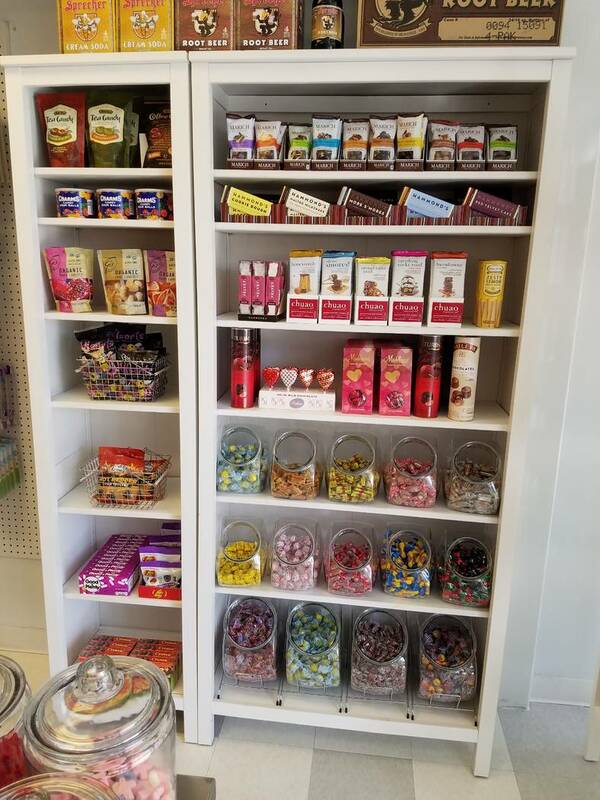 If your sweet tooth is in conflict with your need to avoid sugar, Mrs. Williams is your kind of place, with a good-sized selection of sugar-free candies, in addition to all of the bakery products. 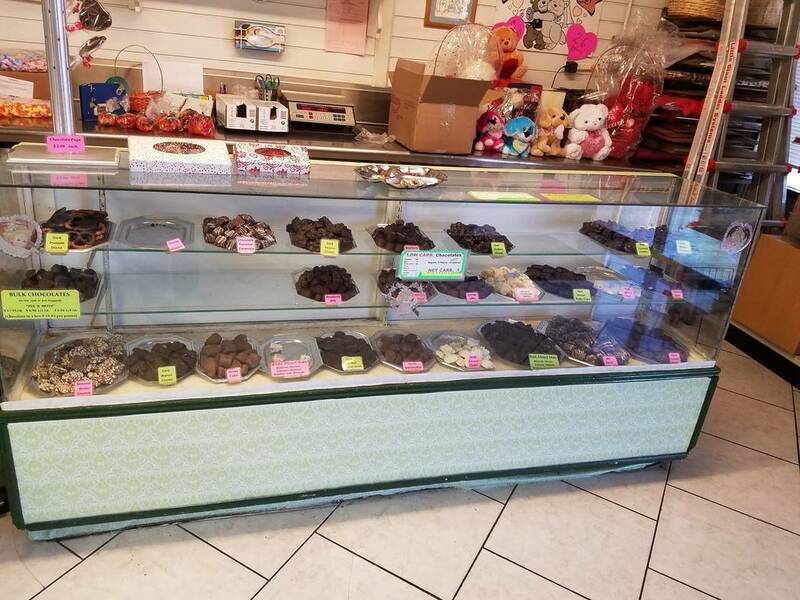 They include dark chocolate thin mints with liquid centers, chocolate peanut butter cups, dark-chocolate mixed nuts, bridge mix, Jordan almonds, chocolate-covered coffee beans and raisins and almond butter crunch. 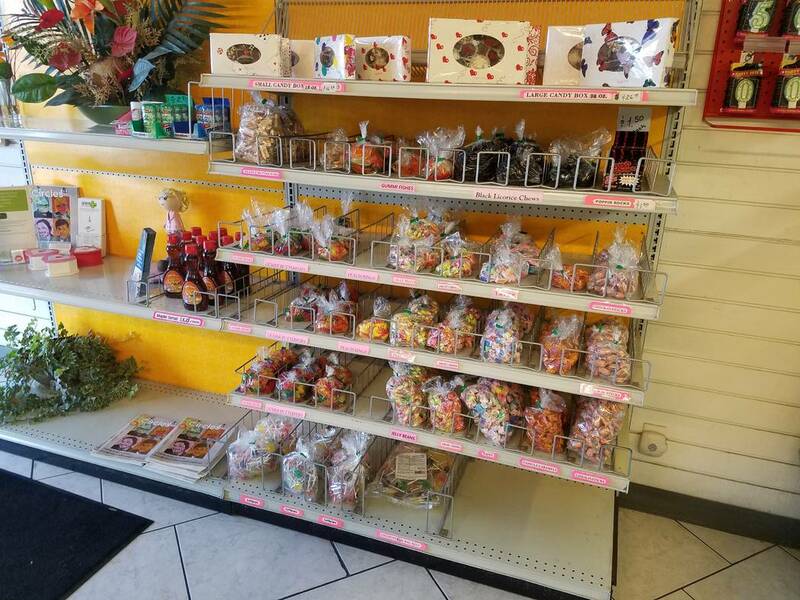 There also are hard candies, jelly beans, gummy taffy and even Pop Rocks. 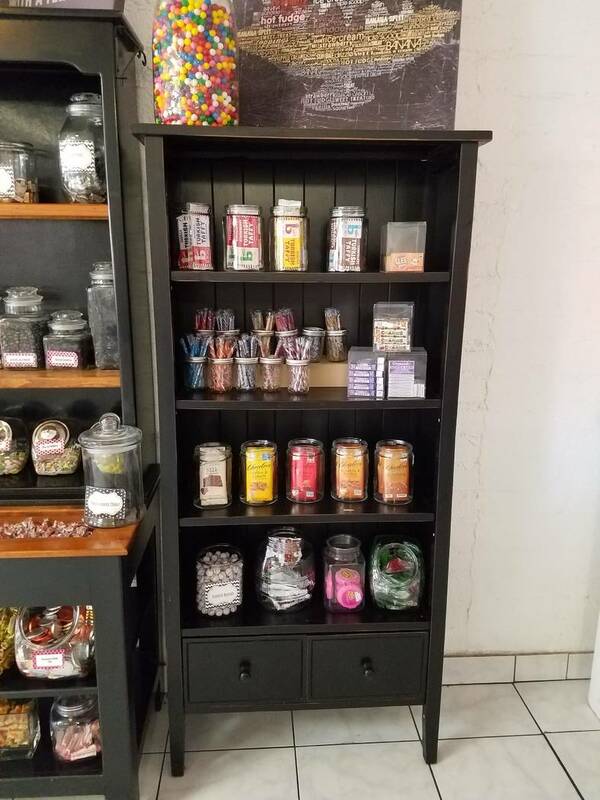 Candy in a popcorn store? 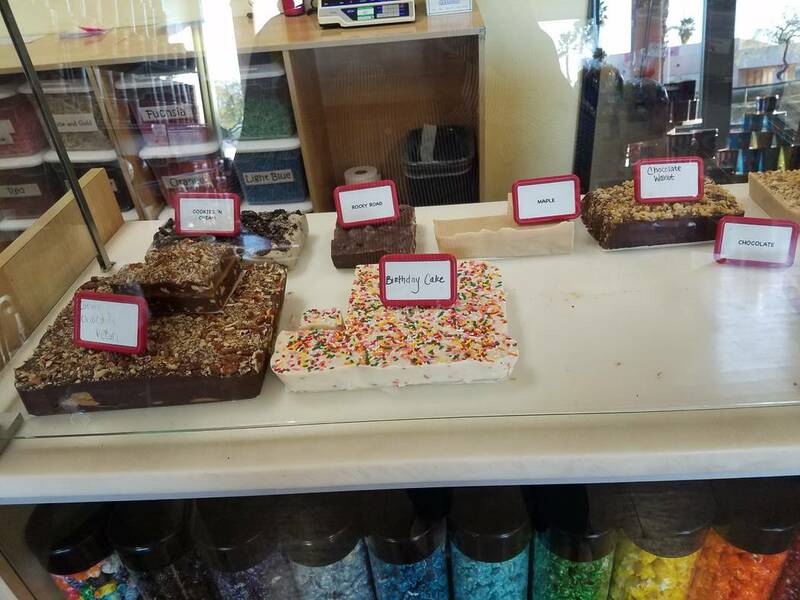 Yup, they make fudge in-house, in flavors such as dark chocolate sea salt, birthday cake and dark chocolate raspberry truffle. They also offer 17 candy flavors of popcorn, such as strawberry patch, red hot cinnamon, Bubblicious, wacky watermelon and the multi-flavor Crazy Cornetti. 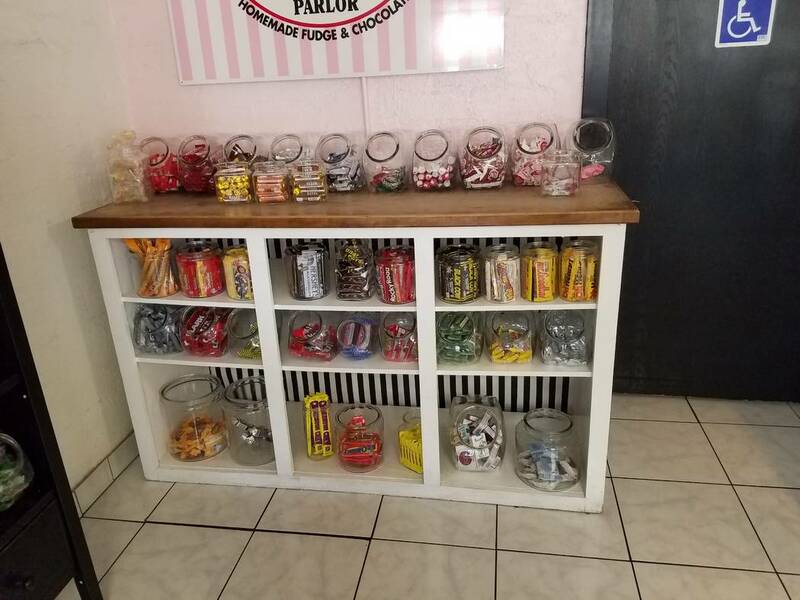 If that’s not enough to make your dentist nervous, you can opt for one of the specialty chocolate popcorn flavors, from the ever-popular Puppy Chow to Butterfinger, white chocolate peppermint or Heath toffee almond. 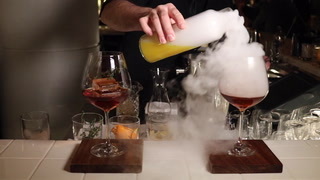 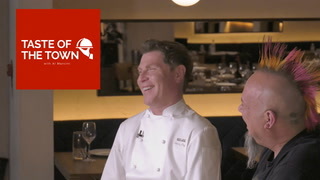 With retail stores, restaurants and cafes around the globe, Sugar Factory boasts a long-list of celebrity customers and partners. 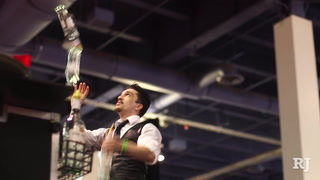 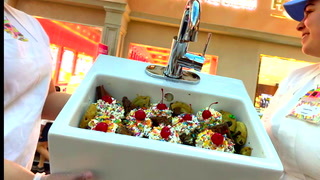 A few have even collaborated on the chain’s signature item: blinged out refillable lollipops known as Couture Pops. 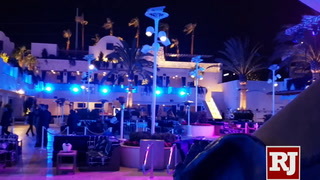 This location also boasts the Wonka-esque indoor-outdoor Chocolate Lounge on its roof. 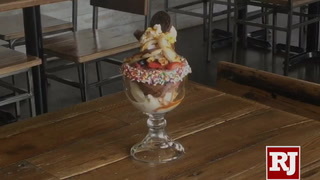 Diminutive even by Container Park standards, Sweet Spot manages to pack in a lot of sugary goodness. 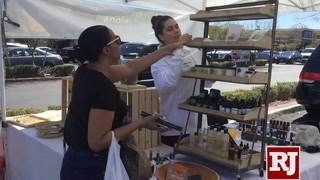 Jars hold old-time favorites like Mary Janes, Crows and Atkinson’s Peanut Butter Bars and more current sweets like Jolly Ranchers, Good & Plenty and tins of Charms organic sour balls. 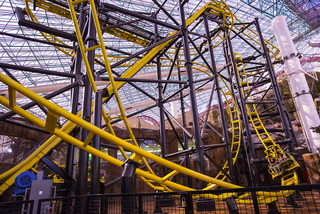 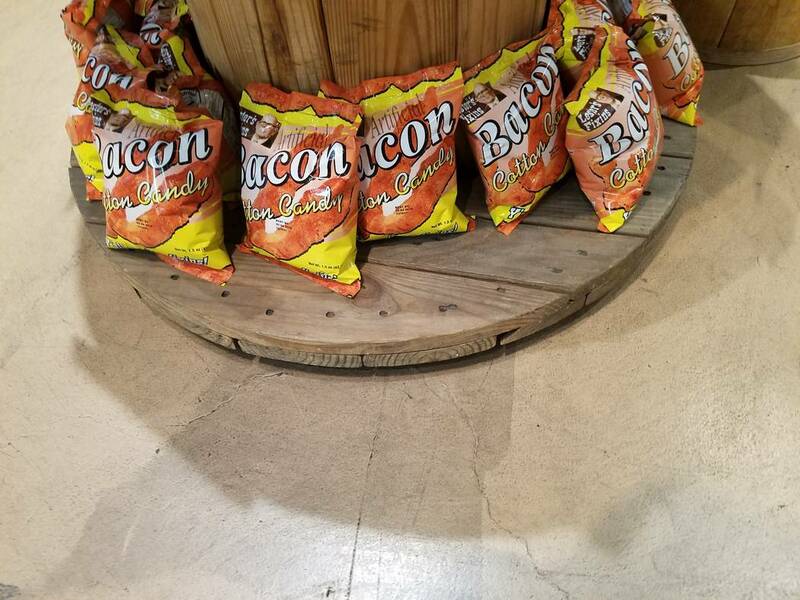 And you’ll find lots of novelty items, such as popcorn-flavored Jelly Bellys packed into a popcorn box, 14-inch Pez Mickey and Minnie Mouse characters, all-day suckers, giant gummy bears and kits for making root beer. 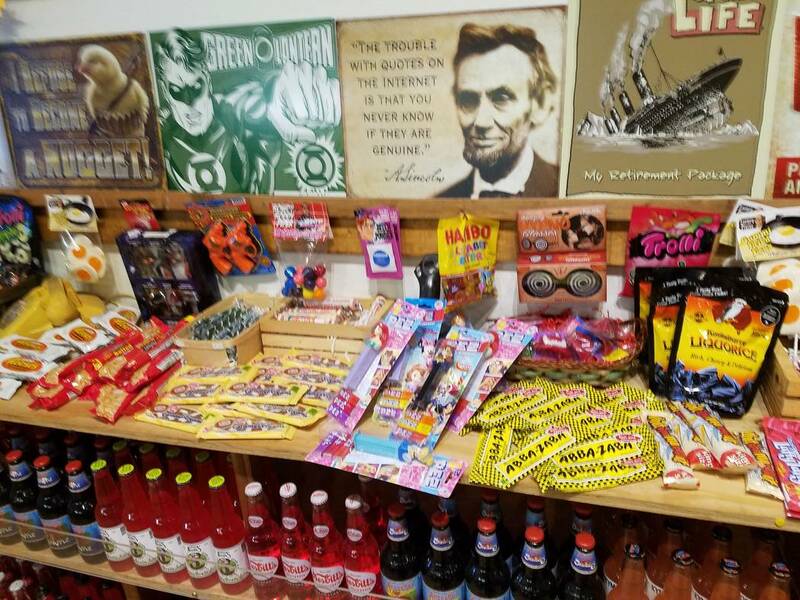 Rocket Fizz is known for its wide selection of retro and regional soft drinks but you can eat your sugar, too. 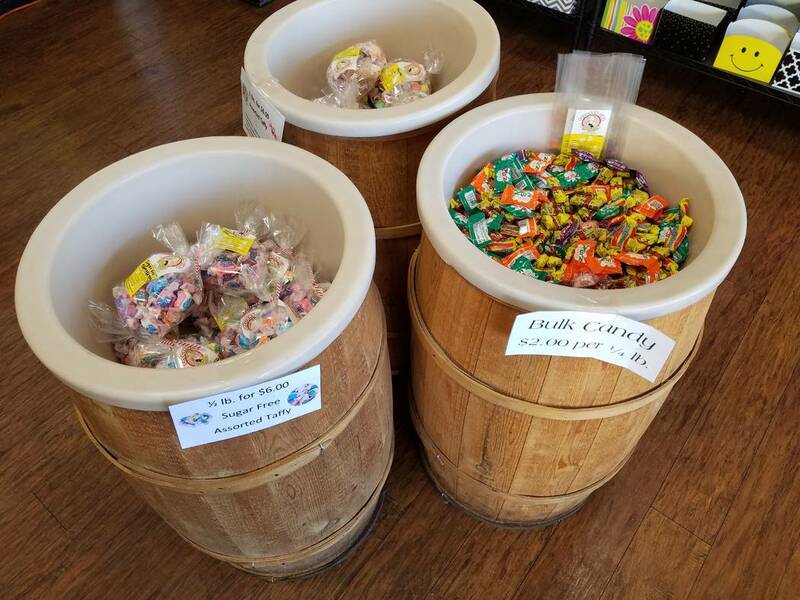 The 82 flavors of taffy include sarsaparilla, hot pepper, carrot cake, maple bacon, guava, ginger ale, Belgian waffle and margarita, and there are about 30 hard candies in bulk (cinnamon disks, butterscotch drops, Lemonheads, jawbreakers) and hard-to-find candy bars such as Idaho Spud, Mallo Cup, Zero and Twin Bing. 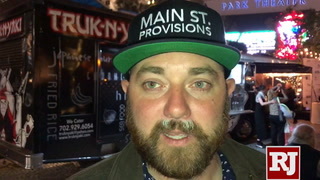 This also is a source for those all-but-verboten candy cigarettes. 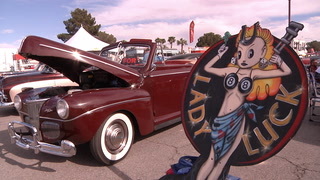 Contact Heidi Knapp Rinella at Hrinella@reviewjournal.com. 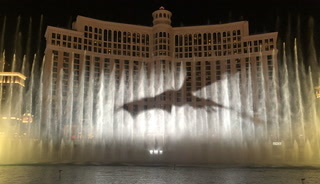 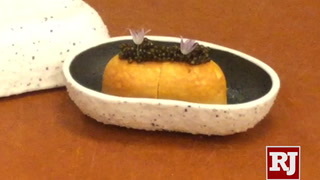 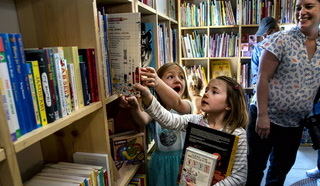 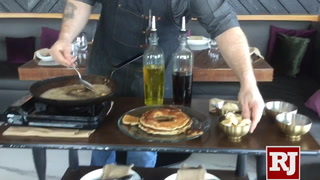 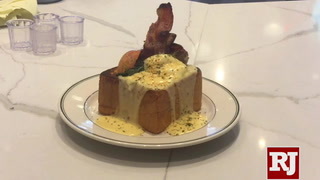 Contact Al Mancini at Amancini@reviewjournal.com.